If you've ever pulled a ticket or driven through a gated lane to park a car, then you've interacted with a PARCS, the industry acronym for a Parking Access and Revenue Control System.This feature is used in nearly every modern garage, so you might not even notice it. However, that gate arm may be needlessly adding toxic emissions to the air you breathe. The PARCS starts with a ticket dispenser, a gate and a loop. The loop is just that—a loop of wire, usually sawcut into the pavement (sometimes preformed and poured into the concrete), that detects a vehicle through its metal mass. 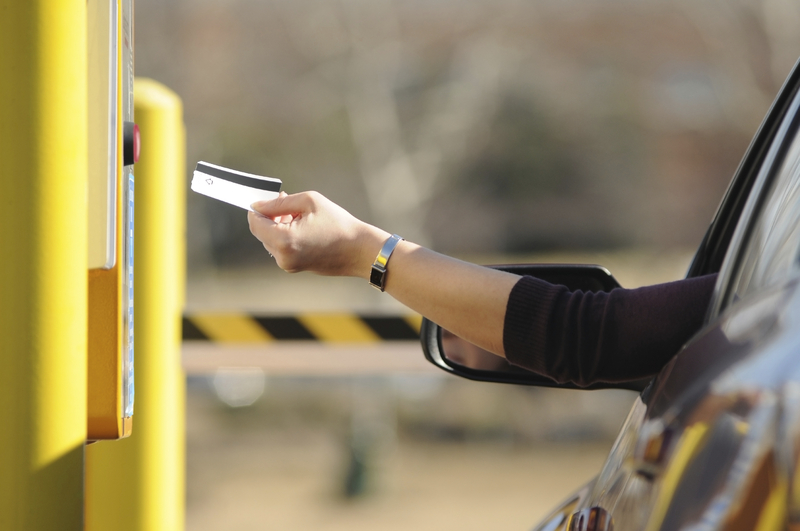 The loop ensures that the gate does not come down on a vehicle (for safety) and also that a patron is not cheating the system by manually pulling a ticket without a car in the lane (for revenue control). Today's PARCS include LPR (License Plate Recognition) and AVI (Automatic Vehicle Identification, similar to those transponders used on many toll roads). In addition to improving revenue control and the customer experience, these tools further reduce engine idle time in the garage. A study by the planning and design firm Kimley-Horn of the AVI system at the Eastern Virginia Medical School found a 70 percent reduction in vehicle idling. These findings led one manufacturer to create a “Green Parking Carbon Calculator” to estimate the carbon reduction impact of AVI PARCS. As buildings become smarter, construction projects begin to look more and more like IT projects. PARCS are a part of this overall trend. Ongoing improvements in payment industry security standards, predictive analytics and participation in smart city programs are shaping how PARCS are designed and how they interact with other building systems. Learn more about PARCS and other smart garage technologies by exploring the Parksmart certification standard, part of the suite of innovative certification products now offered by GBCI. To get started, purchase the Parksmart Certification Standard, a detailed reference manual that contains technical requirements for each of the 48 elements of the Parksmart program. This document includes descriptions, options for achieving recognition, documentation requirements and industry and reference standards.